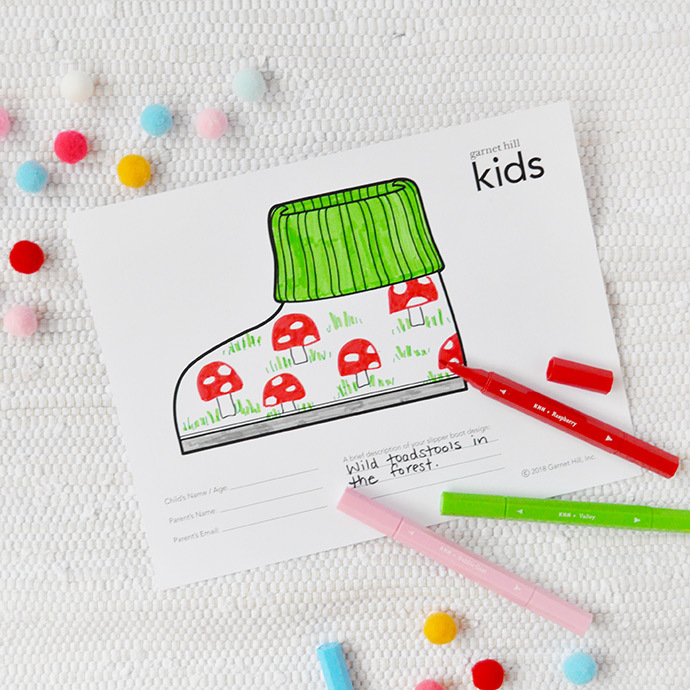 We are SO excited to help spread the word about Garnet Hill’s 2018 Slipper Boot Design Contest! 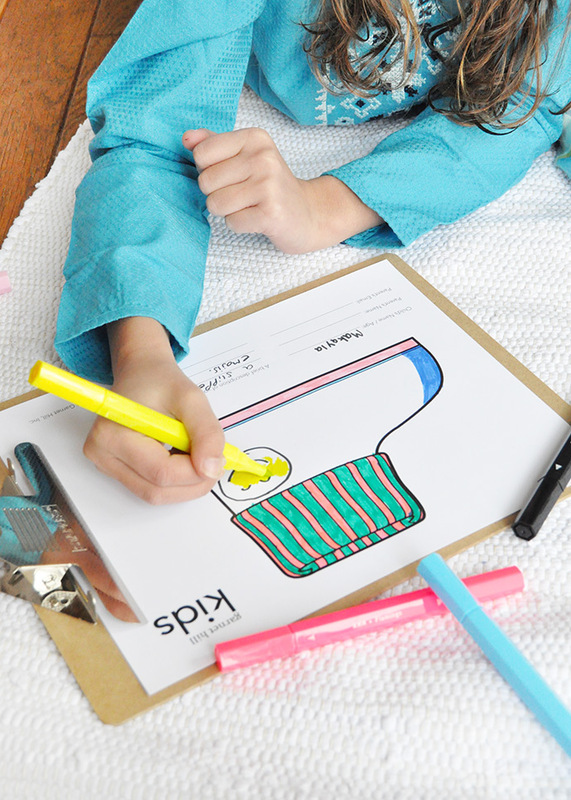 Kids aged 4 to 12 can create their very own custom designs using the blank template (download it here!) and can submit up to three designs each. 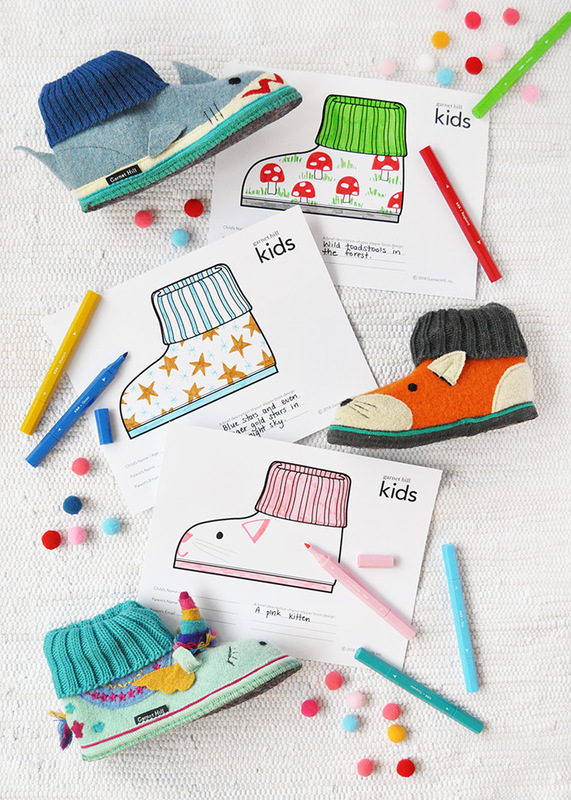 Two winners will be selected and their designs will be made into 400 pairs of real-life slippers for the kids at St. Jude Children’s Research Hospital! 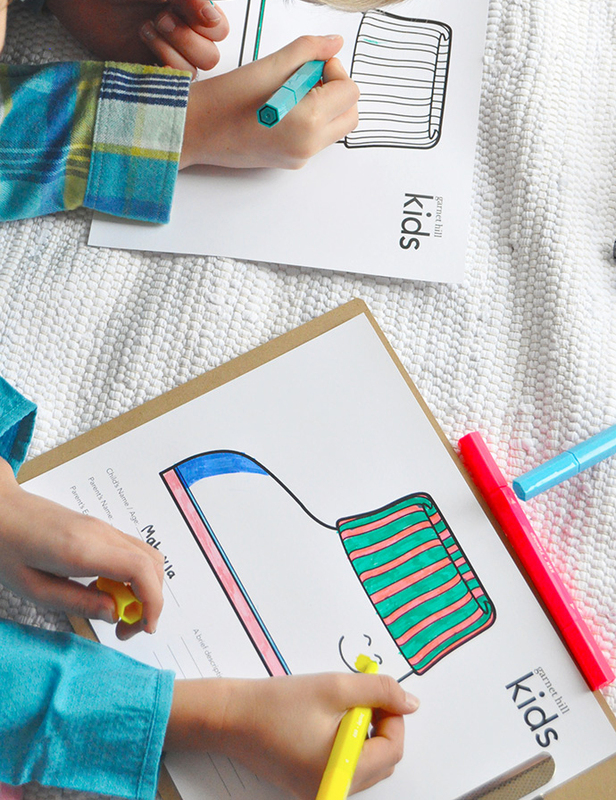 With today being Giving Tuesday, we love the idea of using this design contest as a way to start conversations with kids about the power of giving, volunteering, and generosity. How do you talk with your kids about giving? It can sometimes be a tricky subject to discuss with little ones but it’s such an important one, especially during the holiday season. You might remember this contest from previous years, and it’s back again this year by popular demand! You can read more about the contest’s rules and restrictions here. 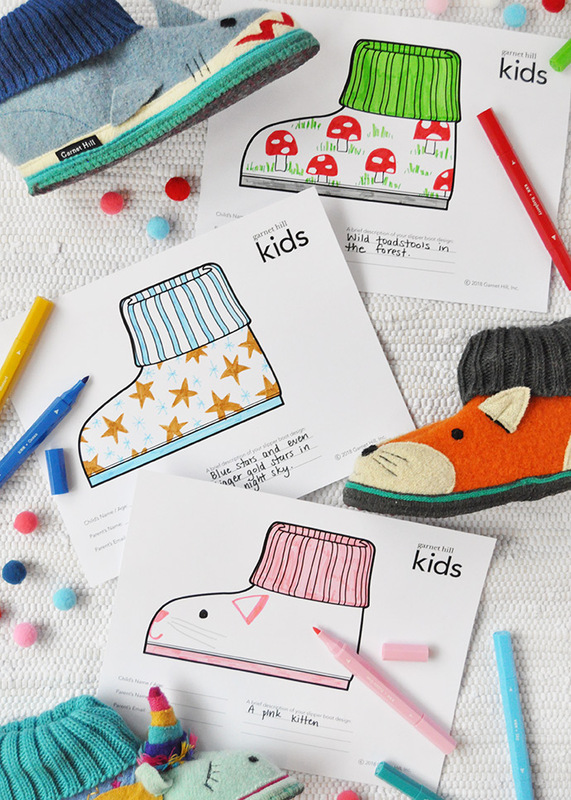 And did we mention that the two winners will also receive a pair of their custom-designed slippers, as well as a $100 gift card to Garnet Hill? Amazing! 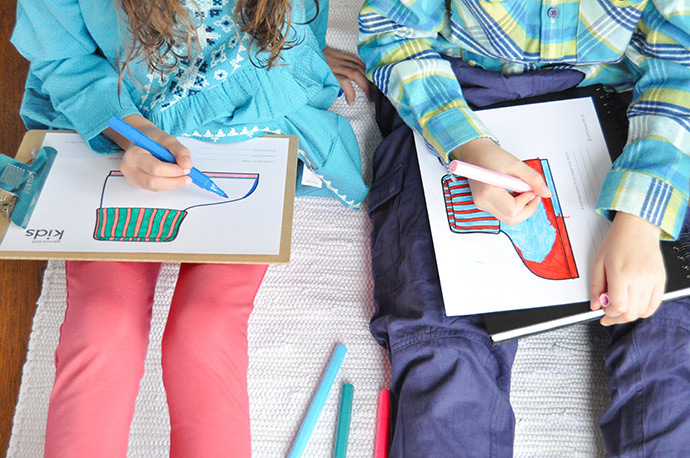 We’re betting your kids will be over the moon to see their designs come to life. 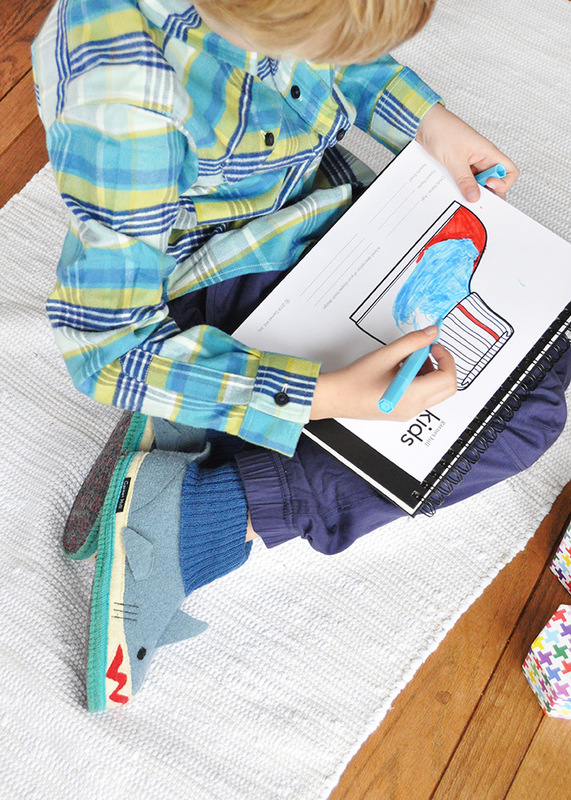 We love that these slippers are designed for kids, by kids. 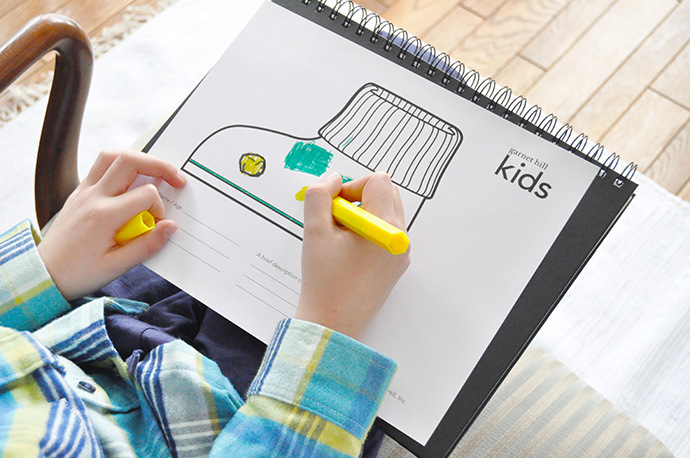 So print the blank template (see the download link above) and have your kids get creative! 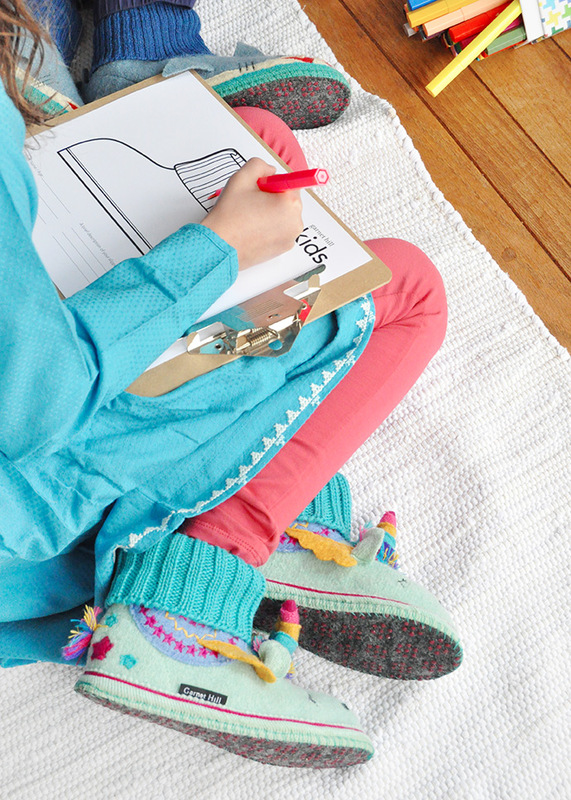 This is a great indoor activity for those chilly days ahead – or how about print out a whole bunch for the next play date or holiday party you have scheduled? Or make it team effort and have your kids’ whole class enter too! The kids at St. Jude Children’s Research Hospital got in on the fun too – take a look at their crafting party right here! Contest ends December 22, 2018, so make sure you get those entries submitted in time! Take a look at the official contest page and see the full rules and restrictions above. Such a nice post and idea. Great pictures and color. Thank you so much! !